While most people are busy preparing for the holidays, you’re scrambling through the year-end reconciliation of your relocation expense data. Well, even though it’s only November, here is a gift that will help you navigate your year-end process this year and for years to come. Create a year-end checklist. A detailed checklist will identify the information you need to accurately report year-end compensation. Your checklist should include due dates, responsible individuals, and departments. Establishing the responsibility for reporting relevant compensation data is critical and may include several components such as wages, imputed income, benefits, equity, and taxes. This year-end checklist will help you identify all the resources you need to create a complete and accurate report. Your itemized checklist should include items such as early cutoff dates, all employees who will receive the tax filing services (employees on the tax eligibility list), and provide for the time needed for verification, approval, and processing. A well-developed checklist will also set firm deadlines for reporting and tax filings. Set up a year-end preparation call. When setting due dates, remember the mandatory vacation times required by some countries toward the end of December. During the call, review your year-end checklist with all involved parties to ensure they are aware of their role and deadlines. Use this call as an opportunity to build understanding and develop relationships that will make year-end reporting easier in the future. If you have not already held a year-end preparation call, schedule one as soon as you finish reading the rest of this article! Verify all of your data. Accuracy is vital, especially for compensation reporting. Data such as addresses and tax ID numbers/Social Security numbers should be confirmed, as well as wages, benefits, sick days, and vacation time. 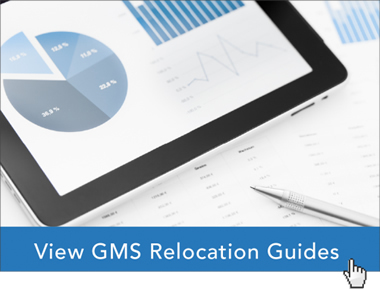 Verifying relocation expense data eliminates backtracking and costly errors. Finalize your relocation expense data. Make sure that the final payroll reports of the year have been included, plus any end-of-the-year benefits. Be sure to back up the program data again and save it in a secure location for easy future reference. Get ready to submit your report. Double-check the deadlines for all the countries on your list and be prepared to provide specific data for each country. Tax providers may ask for data for different assignee/transferee populations. Be sure to adhere to your year-end deadlines and, whenever possible, send the data ahead of time. Some international locations may have very tight turnaround times to make that final tax payment of the year. As with anything, practice makes perfect. The more you follow these five steps, the easier your year-end reporting will become. Global Mobility Solutions – a leader in mobility management since 1987 – has expert relocation consultants who can help you quickly implement relocation policies custom-tailored for your needs, as well as expense reporting to make your year-end reconciliation easier. Request a professional audit of your year-end process.